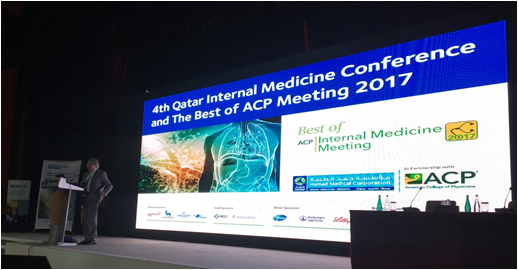 ACP is proud to announce the success of the execution of “Best of ACP Internal Medicine Meeting (IMM) 2017” – a full-day education experience organized by ACP in collaboration with Hamad Medical Corporation. 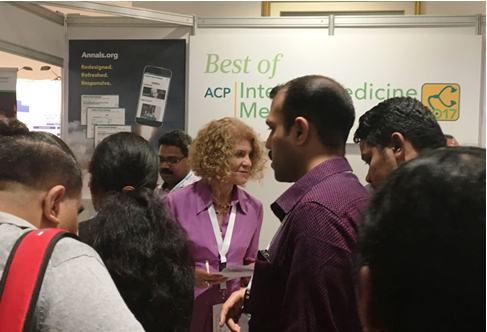 This new program is an abridged replica of an annual ACP Internal Medicine Meeting, with the objective to bring the best of ACP IMM to those who are located far from the IMM locations. More than 1,000 attendees participated in the event, which took place on October 13, 2017, Day 2 of the 4th Qatar Internal Medicine Conference (QIMC) in Doha. 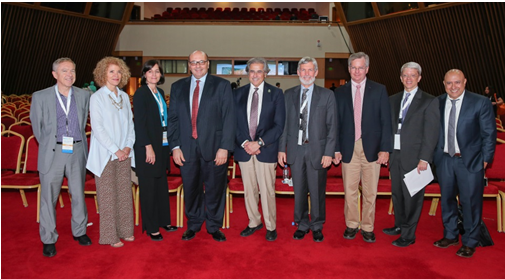 President Jack Ende, along with six other ACP distinguished faculty, led the day of training, which included a Clinical Update, Multiple Small Feedings of the Mind, News You Can Use, and Thieves Market. Of course no ACP Internal Medicine Meeting is complete without a day-ending lively version of Doctors' Dilemma® that featured six teams of residents from regional hospitals. The “ACP Best of IMM” complete program can be found here. 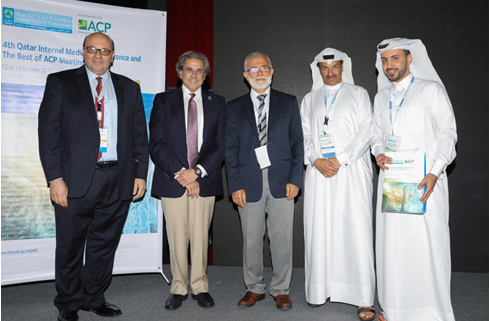 The program was received with such enthusiasm and the course evaluations were so positive that ACP is now exploring the delivery of “Best of ACP IMM” in other regions in the future. For more information or questions about this program, please contact internationaloffice@acponline.org To learn more about upcoming international events, please visit our Future Worldwide Meetings page.